The Nantahala Hiking Club (NHC) is one of 31 volunteer Appalachian Trail (AT) maintaining clubs of the Appalachian Trail Conservancy (ATC). 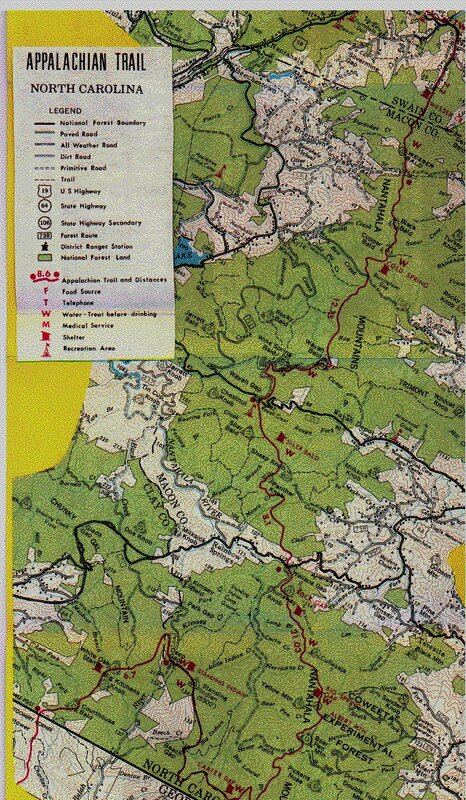 The NHC maintains 58.6 miles of the AT from Bly Gap at the Georgia/North Carolina border to the Nantahala Outdoor Center on the Nantahala River at Wesser, NC. The club also maintains several trails that connect to the AT. Conduct trail maintenance every Wednesday throughout the year. Maintainers meet at the NHC Clubhouse at 173 Carl Slagle Road in Franklin, NC at 8:45 a.m.
Support the local school system through the ATC’s Trail to Every Classroom program which is a professional development program for K-12 teachers that provides educators with the tools and training for place-based education and service-learning on the Appalachian Trail. Support the town of Franklin, NC as an ATC designated Appalachian Trail Community by assisting with community outreach, specifically the annual April Fools Trail Days event. Conduct a hike on most Saturdays, Sundays and occasional weekday hikes. Check the printable hike schedule for upcoming hikes. Hold monthly meetings March through December on the 2nd Friday of the month. Meetings are held at the Macon County Public Library at 149 Siler Farm Road in Franklin unless otherwise indicated on the event calendar.